Effortlessly put the finishing touch on your look with this waist-cinching faux-leather belt featuring trend-driven woven chain trim. 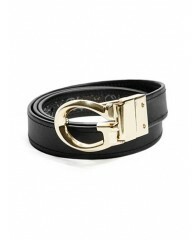 Faux-leather belt. Gold-tone hardware. 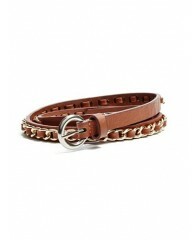 Woven chain and fau..
Grommets add industrial edge to this reversible skinny belt with polished hardware. 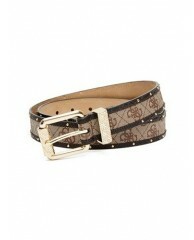 Two-tone faux-leather belt with grommet details Brown: White on reverse with gold-tone hardware. Black: Silv.. Versatility at its finest, this reversible belt goes with everything in your closet. The "G" logo plaque delivers an iconic finish and adds that coveted touch of shine. Reversible matt.. This belt is just what your everyday looks are missing. 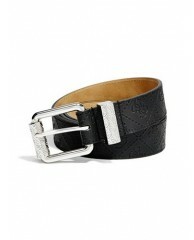 Designed with a luxe crocodile-embossed texture and Quattro G logo details, it goes with anything in your closet. Skinny patent crocodile-emb..
Our iconic Quattro G print, python-embossed trim and gold-tone studs team up to create the ultimate wear-everywhere belt. 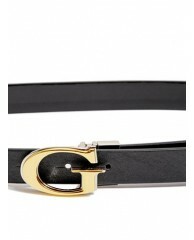 Faux-leather belt with Quattro G logo print, python-embossed trim and go..
Stay iconic every day of the week with this luxe Quattro G logo belt. The embossed texture and high-shine hardware make it the perfect addition to your accessories collection. Faux-leather belt ..
An accessory worth showing off, this Quattro G belt features a signature logo and reversible design for maximum versatility. Reversible faux-leather belt with Quattro G print 1.5" width ..
An accessory worth showing off, this Quattro G belt features a signature logo and reversible design for maximum versatility. Reversible belt. Crocodile-embossed patent on one side. Matte d.. 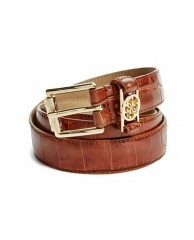 Versatility at its finest, this reversible belt goes with everything in your closet. The "G" logo plaque delivers an iconic finish and adds that coveted touch of shine. 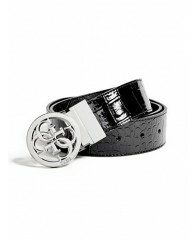 Reversible belt..